New Haven, Mo. – An estimated one thousand people turnout for the 23rd Annual New Haven Hot Air Balloon race. Saturday’s weather was perfect for people to relax and enjoy an exciting day filled with many activities for both adults and children alike. There was plenty of great food on hand as well. New Haven, Mo. 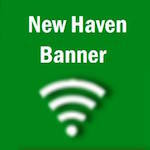 - New Haven Lumber is the official sponsor of Quick News’s live coverage of the 23rd Annual Hot Air Balloon Race. We have made it easier than ever for you to know when the balloons will launch, keeping you informed in the palm of your hand. We spoke with Ellen Zobrist on Thursday and she told us about a particular balloon that will be at this year’s Hot Air Balloon Race. Make sure to sign up for Quick Text Alerts before Friday afternoon when we will reveal what Mrs. Zobrist informed us about. Last year Quick News gave readers coverage of The Hot Air Balloon Race from behind the scenes, a perspective never seen before in New Haven. This Saturday, September 22 we are going a step further by providing quicker, up to the minute details, and for the first time we are adding Quick Text Alerts sponsored by New Haven Lumber sent right to your phone. Signing up is easy. You can text the word “quick” to 25827 or sign up online. This coming Sat. Sept. 22 will mark the 23rd Annual Hot Air Balloon Race presented by Pepsi. Every year, along with several other traditions for the balloon race, is a uniquely designed balloon pin with the year on it. The 2009 balloon was more unique than any other pin prior to or since then. Picture above the top five winners from left to right: Ellen Zobrist, Kent Schroder, Ken Jay, Janet Sines, John Essermann, and Joe Nusrala. Clear blue skies, light winds, and 70 degrees are perfect conditions for a Hot Air Balloon Race. This past Saturday Pepsi presented their 22nd Annual Hot Air Balloon Race in the City Park of New Haven. Read more below about the race. Pictured above: Balloons as they are approaching the white target on the right. It was a beautiful day for the 22nd Annual New Haven Balloon Race.